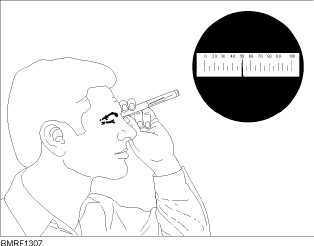 look through the eyepiece; the total radiation dose received is read directly on the scale. After each use, the dosimeter is recharged and the indicator line set to zero. The nonself-reading category is a high-range casualty dosimeter (fig. 13-8). To determine the total amount of gamma radiation the wearer has been e x p o s e d t o , i t s p u t i n a s p e c i a l r a d i a c computer-indicator. Its range is 0 to 600 roentgens. BIOLOGICAL AGENTS No simple or rapid method can be used to detect BW contaminants. The only known method consists of two phasesa sampling phase conducted by a CBR survey team and a laboratory stage conducted by medical personnel. Samples of material are taken from a wide area. Samples include air, surfaces of bulkheads and decks, clothing, equipment, water, food, or anything else suspected of being contaminated. Then the samples are shipped to a medical laboratory for identification of the agent. CHEMICAL AGENTS Warning of a CW attack based on detection by the physical senses alone is not only dangerous but would probably be too late. This is particularly true if fast-acting nerve agents were used. Special detection equipment, such as the M256A1 vapor sample detector kit and the M8 and M9 liquid chemical agent papers, is used to detect CW agents. Also, draeger tubes are used to detect the presence of phosgene gas. Other pieces of 13-16 Student Notes: Figure 13-7.Self-reading pocket dosimeter. 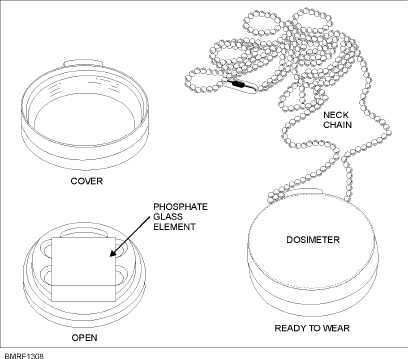 Figure 13-8.High-range casualty dosimeter, DT-60/PD.